Cape Town, South Africa - Torah scrolls worth Tens of Thousands of $USD were destroyed in a fire at a Cape Town synagogue, the congregation’s rabbi said on Wednesday. 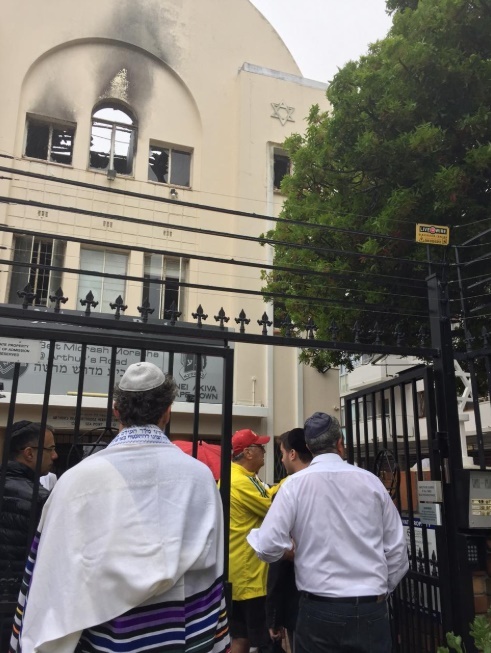 Sam Thurgood, the rabbi at the Arthurs Road synagogue in Cape Town, said five handwritten scrolls were destroyed or damaged in Tuesday night’s fire that started just before 11pm. It caused the collapse of the roof at the former Dutch church building, which was converted into a synagogue about 60 years ago. Thurgood said while the cause of the fire remained unknown, arson was not suspected. He also denied that Hannukah candles had been left burning inside the shul. 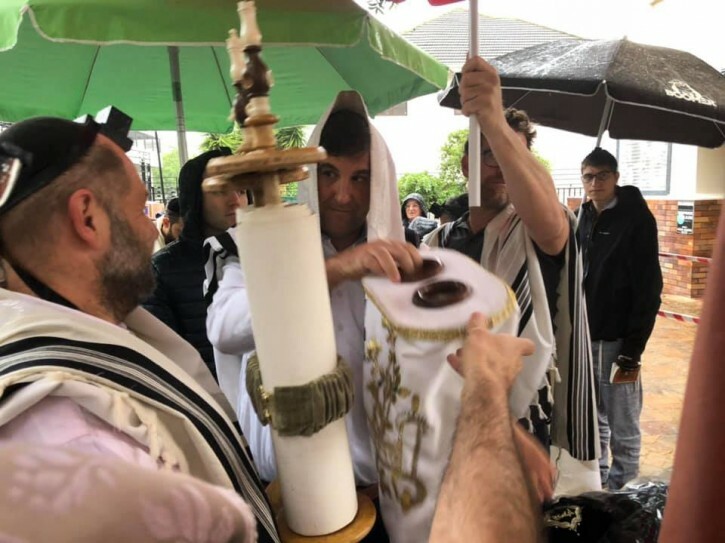 Most of the damage happened in the synagogue’s sanctuary, or ark, where congregants pray and where the Torah scrolls were kept. It is believed the fire started there. Thurgood said the fire happened on the third day of Hanukkah, the Jewish festival of lights which commemorates the rededication of the Second Temple in Jerusalem. The festival is celebrated by lighting candles in the sanctuary. “We still have a remnant of one of the scrolls, but the other four were burnt completely,” said Thurgood. 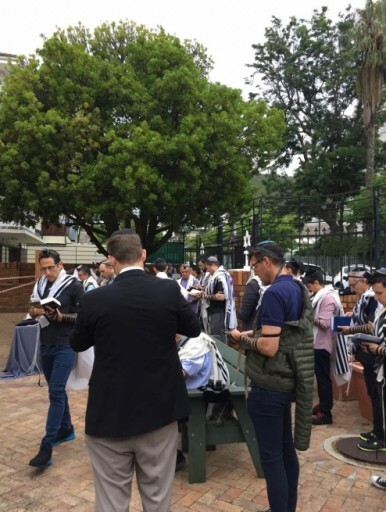 “Most of our library inside the synagogue was largely saved thanks to dedicated firefighters who worked very hard to put out the fire last night. 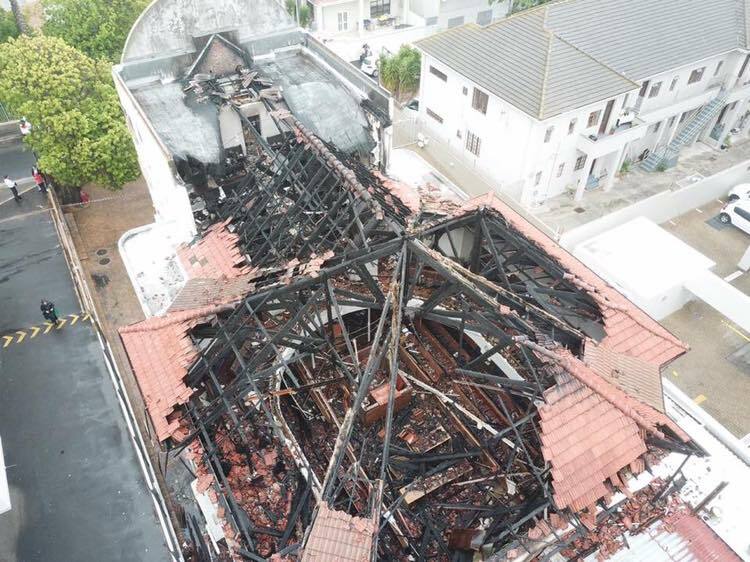 A congregant who declined to be named said he was in Sea Point to celebrate the marriage of his son when he saw the fire. “We were just down the road and were preparing to leave when we saw a big smoke and fire coming out of the building. The dedication shown by the firefighters was amazing. They went through the flames and saved whatever they could lay their hands on … it was impressive,” he said. Tammi Forman, a congregant of 13 years, joined a team sorting out salvaged religious books at the synagogue’s property across the road on Wednesday. “We are trying to catalogue our prayer books so that we have a record of what was saved from the fire,” she said. Another congregant was collecting prayer shawls to have them washed in a nearby laundromat. “I’ve been a worshipper here for 10 years and my family and I come here almost every day,” he said.